If you are considering having a laser hair removal procedure, you probably already know it would benefit you. However, you might not realise exactly how many laser hair benefits there actually are. Obviously, the biggest benefit of having your unwanted hair removed with a cosmetic laser device is that you won’t have to worry about waxing, plucking, and shaving those annoying hairs away anymore. That is, of course, if you have repeated laser treatments. A single treatment won’t permanently get rid of hair, but a series of treatments might. Even if the hair does ever grow back, there shouldn’t be as much and it should take quite a while to return. Another great thing about laser hair removal is that the lasers used can treat multiple body parts. That versatility makes them perfect for almost any hair that you want to get rid of. We have all had those annoying times when we spent a lot of time shaving or waxing only to find out we missed a few stray hairs here and there. This can be a particular problem when we shave our legs or bikini areas. Laser hair removal procedures are much more accurate. If you have your hair removed with an aesthetic laser device, the chances of finding stray hairs after you are done are slim to none. Have you ever been in a rush to shave or wax your legs or other body parts? Did it feel like the process was taking hours? Well, laser treatments are great because they are fast, accurate, and can treat large sections of skin. Where a razor or bit of wax might cover a small section of the offending are, a laser can zap all that unwanted hair away in very short order. Just imaging how much shaving and waxing time you’ll save by choosing to have a series of laser treatments. Each treatment will probably take an hour or two, yes. But attending a few one to two-hour sessions and having lasting results is much better than constantly waxing and shaving, right? Finally, depending on how many laser treatments you have and how late in life you have them, you might also wind up saving money. Initially, laser treatments are quite expensive. In fact, each one can cost $1,000 or more. So, it’s easy to see how the costs associated with a series of hair removal treatments could quickly add up. Even so, over time you may save money because you won’t have to buy any shaving or waxing supplies anymore. 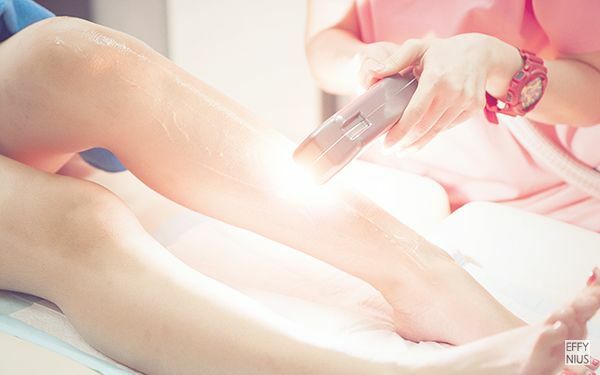 So, having laser hair removal treatment might well be a great choice for you for that and all of the other reasons listed above.